A handout photo of U.S. President Donald Trump and North Korean leader Kim Jong Un during their second summit meeting at the Sofitel Legend Metropole hotel on Feb. 27, 2019, in Hanoi, Vietnam. A tepid response to a potential North Korean satellite launch -- which is being advocated by officials in the administration -- is sure to draw criticisms of double standards given Secretary of State Mike Pompeo's harsh rhetoric aimed at Iran over similar activities earlier this year. Recently observed activity at several launch sites coupled with North Korea's rhetoric following the summit could be part of a coordinated posturing effort to gain leverage in talks with the US, the official added. A satellite launch could be cast by the US as less incendiary than a missile or nuclear test, because it is not a direct link to North Korea's nuclear program. But it is not unrelated -- experts have long maintained that North Korea's attempts to shoot satellites into space could help them develop viable long-range ballistic missiles. Pompeo issued a stark warning to Iran over its own space launch attempts earlier this year, calling out Tehran for its "flagrant" actions that he claimed were in violation of United Nations Security Council resolutions. "The Iranian regime fired off a space launch vehicle today," Pompeo said in January. "Such vehicles incorporate technologies that are virtually identical and interchangeable with those used in ballistic missiles, including intercontinental ballistic missiles." "Well, the President himself said he would be very, very disappointed -- his phrase -- if North Korea were to resume missile testing or nuclear testing," Bolton said on Fox Business Tuesday. "This was a commitment that Kim Jong Un has made several times to him now. So, if in fact they decided to start testing again, it would have a real impact on the President," he said. North Korea's missile program made strides in 2017, with Pyongyang saying it successfully test-fired three intercontinental ballistic missiles. Experts say the Hwasong-15, which was launched in late November, could likely hit much of the United States. As he left Hanoi, Pompeo said the ball was in North Korea's court when it comes to continuing diplomatic talks. On Monday, Pompeo reiterated that the US sticking to that claim. "There's deep distrust. There's distrust between both parties. We need to see Chairman Kim actually deliver," he said Monday in response to a question about sanctions evasion. Pompeo noted that Kim "is a leader who has made a promise" on denuclearization. 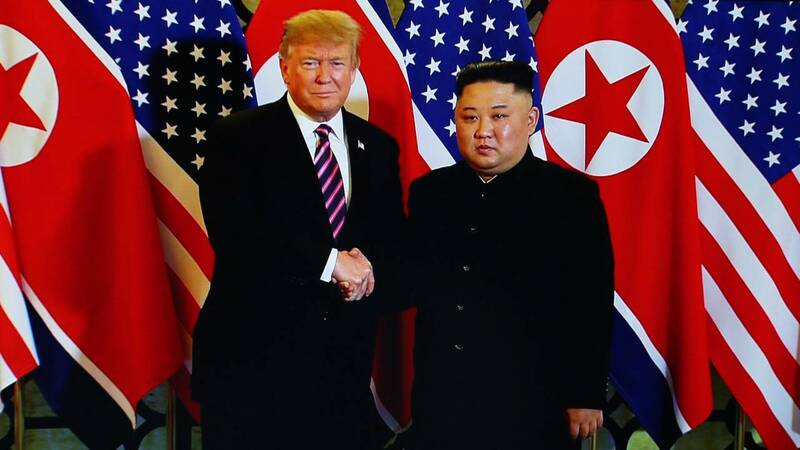 He has also responded similarly to questions regarding Kim's threat to possibly resume testing, emphasizing that Kim promised he would not do so during the Hanoi summit. Trump, who has said the US will be happy as long as the "testing" moratorium stands, has steered clear of specifics on how he feels about a satellite launch specifically. "I'm not in a rush. I don't want to rush anybody," Trump said, ahead of the Hanoi summit. "I just don't want testing. As long as there's no testing, we're happy." The US intelligence community still believes that North Korea maintains its nuclear weapons capability, is unlikely to dismantle its nuclear or missile programs and could very easily go back into testing despite its months-long moratorium, the official said. "It gives them options," Maxwell said, of the fact that Pompeo and Bolton haven't bluntly warned against launching a satellite. "North Korea would interpret that as, OK we can do a satellite launch. But it would also depend on the conditions inside or North Korea. If Kim Jong Un feels he has to prove himself to the military and give off the appearance he is strong, it may help him. Because by Trump walking out, Kim appeared weak." Gen. Vincent Brooks, a recently retired US Army general who commanded United States Forces Korea, explained that North Korea will likely make a "face saving move" because Kim "didn't come back with what he wanted" from Hanoi. Brooks, speaking at Stanford University, predicted Kim will attempt to "equalize" the situation. "We may not know until it's on the stand," according to Vipin Narang, an associate professor of political science at MIT, focusing on nuclear proliferation and strategy, who told CNN that it entirely depends on the type of engine and the payload it is carrying. A US intelligence official also told CNN that any assessment related to Pyongyang's intentions would largely depend on the payload of any potential launch.